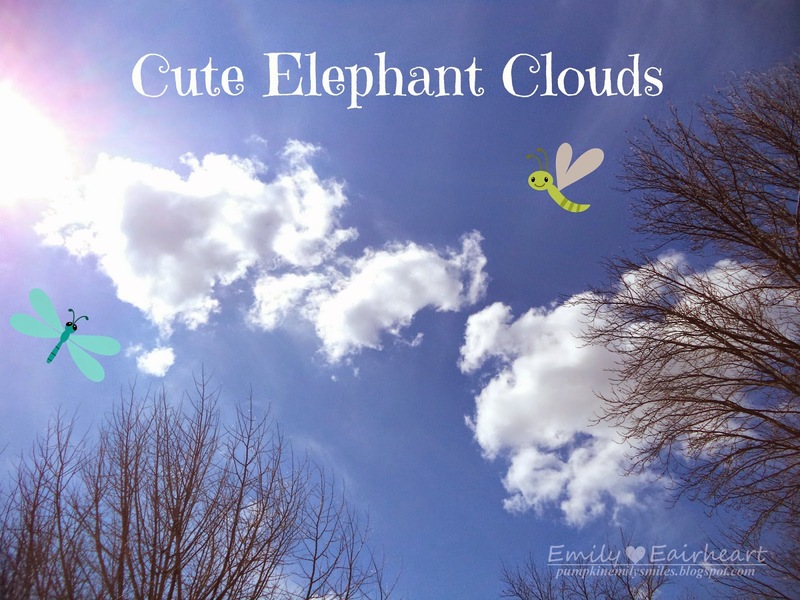 These clouds look like a heard of elephants. On the left, it's the mom, the middle is the baby, and the right is the dad. On the right, it also looks like a moose. This cloud looks like a baby elephant sitting down playing with bugs. Oh, jeeze, this is so stinkin' cute!